The Ultima Air 390 Super Deluxe is a classic lightweight porch design using SunnCamp’s AirVolution inflatable technology. 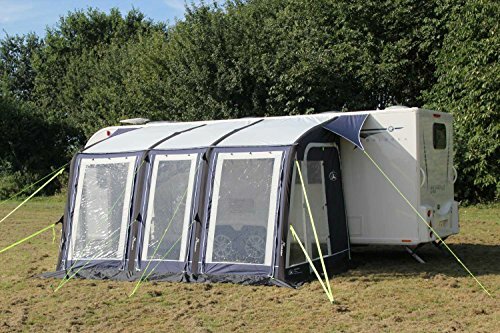 For 2017, the Ultima AIR 390 comes in Blue and has had a zip added to the front to accommodate the sun canopy (optional) which can also be used directly to the caravan as its got beading stitched in to it. Also the valve position is higher to make inflating the awning easier and more accessible. 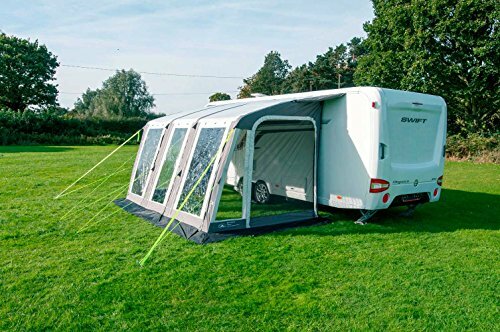 As with some other models in SunnCamp’s range the Ultima 390 Air Super Deluxe benefits from heavy duty Pro-tek 300D polyester with an impressive 6000mm Hydrostatic Head. 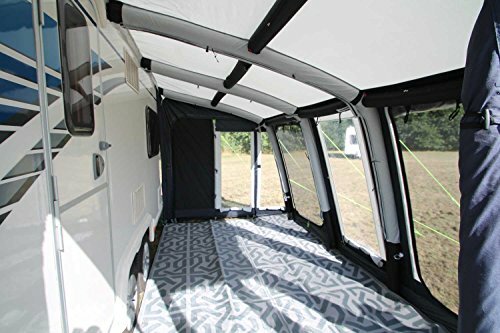 The awning offers a floor area of 390cm x 240cm which is excellent living space that can be added to thanks to the zip out side panels to attach the optional bedroom annex, which can be used as extra sleeping or storage space. The Ultima 390 Air Super Deluxe includes, storm straps, rear upright legs, draught skirt & pegs. Zip in side mesh panel. Hand pump with gauge included. Storm buckles and straps included.